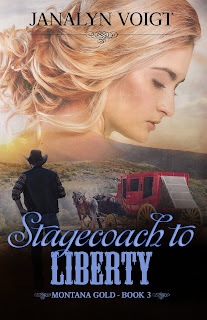 To celebrate the release of Stagecoach to Liberty, third book in the Montana Gold western historical romance series, I’m giving away to two winners their choice of a digital copy of either Hills of Nevermore (Montana Gold 1) or Cheyenne Sunrise (Montana Gold 3). Comment before midnight, Pacific Time, January 25th on the question in this post for a chance to win. Leave your email address to be eligible. I'll contact the winner privately by January 27th. There's something about a stagecoach that brings out the romantic in all of us. Picture a stagecoach pulled by a team of frothing horses and you summon the very essence of the Wild West. You imagine yourself settling back against the leather upholstery with a view of the western plains. You sigh. Romance and adventure await! Hold your horses. So do nausea and exhaustion. Being tossed about a coach with little or no shock absorbers took a toll on the passengers. Despite the galmourous image, stagecoach travel was pretty rough. Let's take a look at what else we might not know about stagecoaches. The stagecoach originated in Great Britain during the 1600’s as one of the earliest modes of public transportation. Stagecoaches traveled from stop to stop so drivers could swap tired horses for fresh ones and allow passengers to purchase food and drink. The characteristic travel in stages gave rise to the term ‘stagecoach,’ or ‘stage’ for short. Passengers could alight for about 10 minutes at stage stops to stretch their legs, purchase food and drink, and attend to other necessary matters. These stops were spaced between 10 and 30 miles apart. A stagecoach covered, on average, 5-8 miles in an hour. Rate of travel depended on condition of the road and the terrain. The risk of breakage was too great, so stagecoach windows had no panes. Instead, thick leather curtains could be unrolled and attached at the bottom over window openings to shield passengers from inclement weather, dust, or mud. Exhaustion helped people fall asleep while riding in the coach, however staying asleep could be a problem due to the jostling from rough roads. Sometimes stagecoaches ran through the night. If they stopped at a roadhouse, they usually had to wake early to continue the journey. 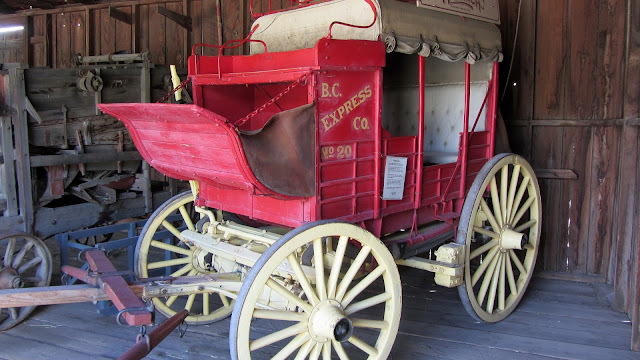 Starting in 1785, Congress passed legislation to allow stagecoaches to carry mail. America relied on stagecoaches to transport mail through the 1840’s. Postal delivery was an important function for stagecoach lines, and often passengers shared coach space with mail bags. Have you ever had a bad travel experience that is funny in hindsight? Hills of Nevermore: Can a young widow hide her secret shame from the Irish circuit preacher bent on helping her survive? Cheyenne Sunrise: A young Irish widow has no choice but to trust her half-Cheyenne guide with her life, but can she trust him with her heart? Can a desperate young woman trust the handsome Irish stranger who wants to free her from her captors? Elsa Meier, a young Hessian woman newly in America, falls into the hands of soul merchants intent on forcing her into prostitution. The last thing that Connor Walsh, an Irishman returning to his ranch after a bout of amnesia, wants is trouble, but he suspects that Elsa isn't wholeheartedly traveling with her companions. 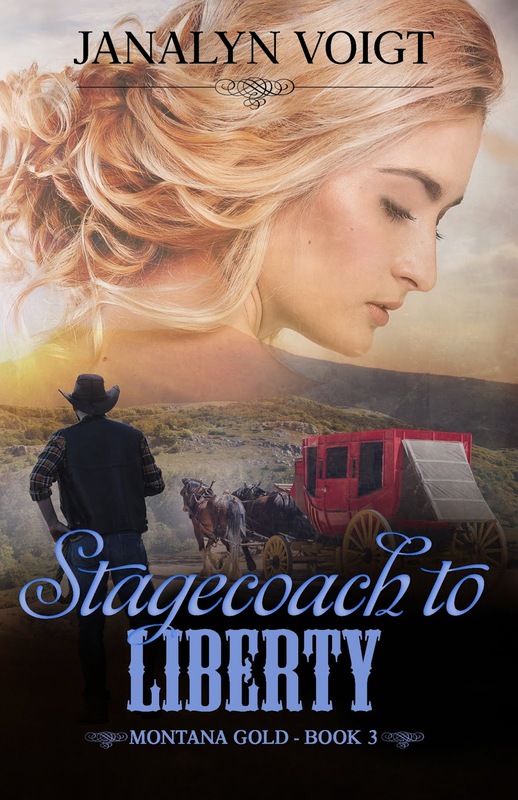 Based on actual historical events during a time of unrest in America, Stagecoach to Liberty explores faith, love, and courage in the wild west. Learn more about the Montana Gold series. Stagecoach travel does sound romantic and I really would have loved to rode in one bumps and all. I recently read a nonfiction book from St. Martins Press about stagecoaches and the bad guys, lol fascinating! Thank you for the wonderful post. 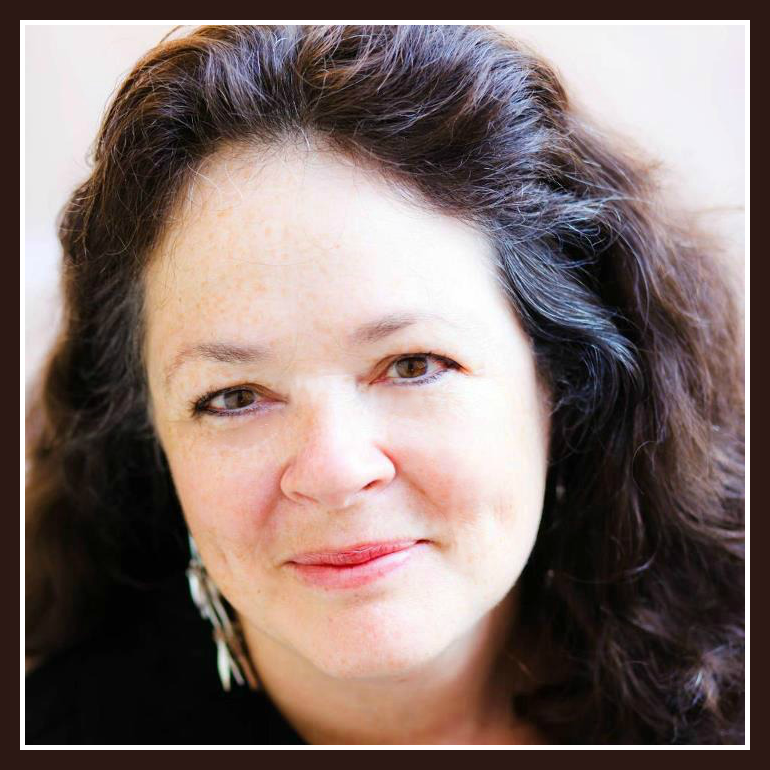 I'm not sure I've had a negative travel experience, but I do have a travel story. When I was 23 years old, I flew to Europe to on a cultural exchange program. As I lived on the west coast at that time, I flew out of Seattle. Unfortunately the airport was fogged in and my flight was delayed 8 hours. Needless to say, I missed my connection in NY so spent the night in the airport there until we flew out at about 5:30 in the morning. I went on this exchange knowing no one, so the hours were very long before we landed in Luxembourg. Fortunately I did meet several others that were on the same program at the other end! All this in the day, when there were no cell phones. I can't even imagine how my mother felt before she got that first letter from across the sea! Thanks for the giveaway and the information about stagecoach travel. Thank you for this fascinating post! I've not had a bad travel experience.